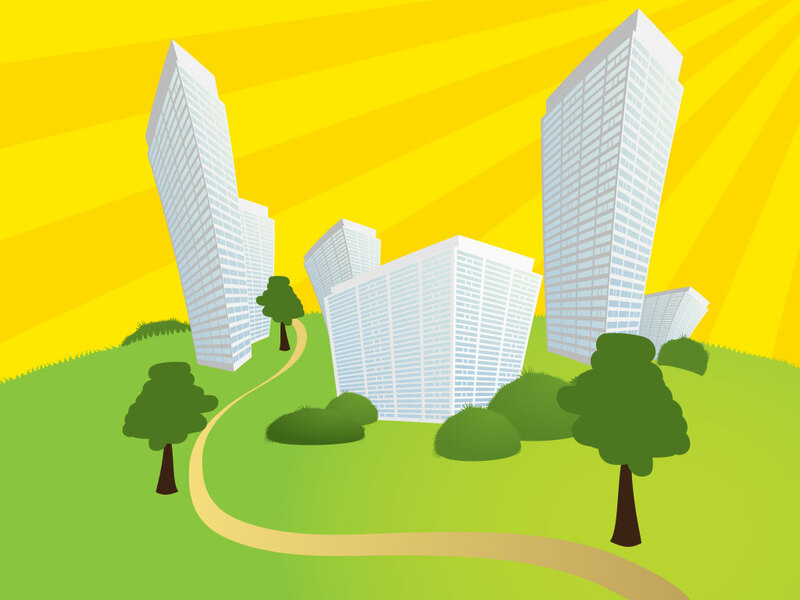 This cool cartoon scene features buildings, trees and a path in front of a sun ray background. Could be great for a city park invitation or kids design. Download as AI and PDF for your background collection. Tags: Building, Cartoon, Nature, Office, Park, Skyscraper, Trees, Urban.